With the release in English just around the corner, we decided to publish our review of the next installment in From Software’s brilliant and punishing series: Dark Souls 3. For those wondering why we have been streaming this before the review embargo is lifted, the answer is simply that we have been playing the Japanese version of the game which is of course not embargoed. Our impressions are based on the Japanese version of the game and it’s subsequent patches, which we can play without issue as it is our native language. How long is the game? How does the game compare to previous Souls games? How does it compare to Bloodborne? How is the lore and story? How is multiplayer and what is different about it? These are all questions we will attempt to answer in this review, along with many other questions you might have. The video version has heavy spoilers, so be advised and proceed with caution. The text version is mostly spoiler free! You may also want to check out our Ashes of Ariandel Review and The Ringed City Review. The Souls series has a unique way of delivering narrative through item descriptions and obscure NPC dialogue. It is up to the player to search for and decipher the many hints and clues that create the tapestry of fire. Dark Souls 3 is no exception in this regard. You begin the game as an “Unkindled”, caught in a world that is on the brink of disaster. As the anonymous protagonist you must conquer the Lords of Cinder and decide the fate of the land known as Lothric. The recurring theme of the cycle of Light and Dark and the player’s choice to choose a side returns here. From Software has done a fantastic job creating a world that can be scoured, explored and decrypted as deep as the player chooses to dig. The lore implications will keep lore enthusiasts busy for years, and if that isn’t your inclination, then you can certainly ignore it without affecting your experience. Lothric welcomes you with the ashen tones and palette you would expect of a world with a dying flame. The sharp and detailed new textures cannot however prevent a feeling of familiarity that settles in mere moments after you start playing the game. This land, which seems to be a different era of a possibly already-visited realm, is dark, detailed and expansive. Players will get lost exploring some of the complex locales and will find secrets hidden away in the nooks and crannies. With varied and stunning locations, some truly beautiful and imaginative vistas, you will feel inspired and saddened as you progress and realize how everything may be coming to an end. 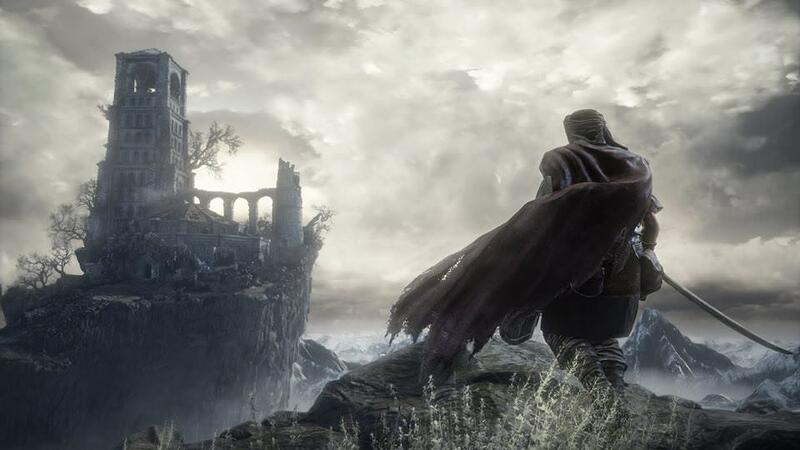 Director Hidetaka Miyazaki stated that he wanted players to feel nostalgia and a sense of belonging and wonder, and we believe he has achieved this. Dark Souls 3’s world layout is designed as Bloodborne’s, with the main world being interconnected and mostly linear with the hub world a separate refuge that must be ported in and out of. The areas have a lot of vertical space, and there are plenty of shortcuts for the player to discover, however not all of them are well placed and some may remain unused. Players can warp from bonfire to any discovered bonfire after reaching the hub world and, since these rest points are placed roughly the same distance apart through out the game, it can render the inter-connectivity of the world redundant as there isn’t a need to remember the quick turns as much as in games past. The game is running on the Bloodborne engine and was developed alongside Bloodborne, and we see a strong Yharnam influence present in Lothric. Regular enemies from other installments return, and join a new and surprising array of terrifying nightmare creatures with improved AI and devastating movesets. The design mashup between medieval and horror results in an unexpectedly fitting blend, bringing the series’ monster design to a fantastic crescendo for its final play. The most prominent design improvement is certainly in the form of Bosses, which feature outstanding visuals and effects and benefit from the careful balance of “refined horror” you have come to expect from the series. Furthering the intense music score and atmospheric setting for each battle, they will also have phases where they unleash different movesets and effects to keep you on your toes throughout the fights. They are numerous and memorable, sure to become the center of fan love and ire. Weapons and armor sets also turn up the nostalgia meter, featuring some high texture classics. However we felt that they were a bit lacking in design, falling short of the fantastic movement effects in Bloodborne’s attire, making us feel From prioritized quantity over quality for this. There are around 80ish Armor Sets in the game, or roughly around the same amount as in Dark Souls 2, and around 200ish Weapons, but many of them feel redundant or simply uninteresting while a precious few will dominate player infatuation due to outstanding visuals, movesets or stats. If lore is the spirit that keeps this series alive, then the gameplay is the body of that spirit. Without it, the lore would become irrelevant, swept away as ash in the lands of Lothric. So how does Dark Souls 3 play? Is this Dark Souls One? No, it is not – and that’s a good thing in 2016! Dark Souls 3 takes From’s popular style and simplifies it in some ways, and complicates it in others. It is apparent now that From wishes to make some of the mystery that was Demon’s Souls and Dark Souls 1 more accessible to newcomers. NPCs now explain better themselves and their wishes for you better than ever. Weapon and Flask upgrades are explained at the very beginning of the game, and even some items feature the locations they can be found at within their description, assisting if you wish to farm a few more. While this will undoubtedly ease new players into the franchise, it is something that may disappoint veteran players, but not enough to ruin their experience. The combat has evolved and incorporates aspects of all previous games into a seamless, fast and fluid string. 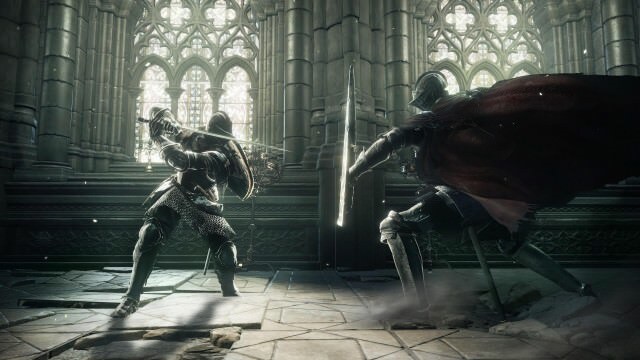 Those playing after Bloodborne will find themselves quite at home, while those coming from Dark Souls 2 will find combat a bit faster than before. This adds an element of depth to the game, as faster builds who prefer to dodge or roll will certainly be viable, while UGS lovers will find a rewarding arsenal. Dark Souls 3 brings its own spice to the Souls mix: the evolution of powerstances and trick weapons is now weapon arts or “Skills“. Two-handing a weapon allows the player to initiate special attacks using L2, which consume a separate resource called Focus Points and unleashes exotic moves that we loved to experiment with. We have discovered 50 skills so far, and we believe there are more, so the multiplayer scene will likely hold surprises for many months to come. Finding the weapon that is perfect for you may now be harder than ever, and that is a very good thing! The same RPG elements from previous titles still remain, with Souls being the currency to gain levels, purchase items and upgrade equipment. Players still drop these upon death, having to return to the spot they fell at before dying again in order to retrieve them. The new stat distribution creates a new min-max puzzle for players to solve and since armor can no longer be upgraded build planning will play a significant role in resistances and defenses. The upgrade system for weapons incorporates Dark Souls 2 elements with Dark Souls 1 ideas and Demon’s Souls concepts, bringing the total to 15 possible infusions to match your playstyle and build perfectly. Given the complexity of upgrade options and the nuances of skills, we don’t think the potential of these abilities will be realized until later in the game’s life cycle, as their existence as an option are not quite built into your muscle memory yet. A special note must be said regarding some early confusion on the existence of Hexes. These have now been rolled into “dark” miracles, pyromancies and sorceries, and are no longer their own category. Intelligence/Faith is now a requirement for many pyromancies, and most casters will want to study the spell availability closely to plan their attacks. It is unfortunate that spells can no longer be aimed with binoculars, as the lock-on suffers from impossibly short range and will severely punish those attempting a magic-only build. It seems the developers are aware of this, as there are several spell casting weapons that will surely be widely used. Since making the wrong choices too early can lead to poor builds, it is welcome that players can re-spec their characters. It is also new and surprising to learn that, for the first time in the series, players may change the appearance of their character up to, but not more than, 5 times for that one character. The manner in which this is accomplished can be found on the wiki for those who are curious. This is a nice feature, but the manner in which it is done is a bit strange. Players can also once again change genders, however this isn’t a permanent or visual change, and is done via an item. “How does Dark Souls 3 compare in difficulty?” is a commonly asked question. However this is something difficult to sum up. Difficulty is subjective and difficult to make a direct comparison, as the first Souls game you play will be generally be the hardest, but if you knew then what you know now while playing it, would it still be? We knew what we were in for when we started playing Dark Souls 3 and we still died, died and died some more. Those of you who watched the footage on YouTube at the beginning of March may think it looks easy, but the game ramps up in difficulty from that point forward. Following a natural, guide-less progression, we never got to a point in the game where we felt overpowered and could just one or two shot enemies. It always felt like each new area was a challenge and this is something we feel Souls vets will be happy with. It is also important to note that NG+ follows Dark Souls 2’s initiative and adds new items, enemies and +1/+2 versions of rings, giving players more incentive to continue into new game cycles. This is by far one of the strongest aspects of Dark Souls 2, and we are glad they implemented it here. 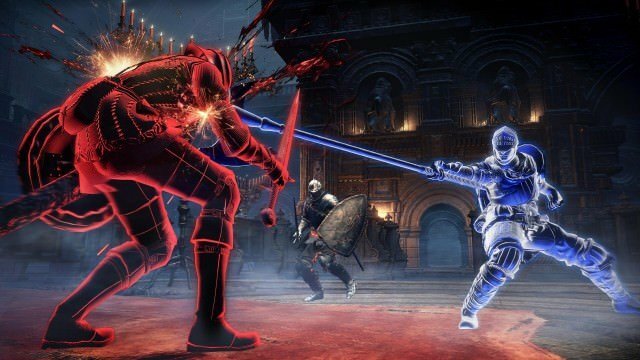 From Software also stated that there would be no divide between NG and NG+ for players, which should keep the playerbase united and matchmaking frequent for longer. Summarizing, FromSoftware has succeeded in tying rpg elements, world design and combat together in an understandable but complex manner. Players will find themselves surprised by enemies and locations, puzzled by NPCs and questlines, and challenged by new and intriguing build possibilities. Demon’s Souls introduced this type of multiplayer to the surprise and delight of many rpg fans, and it is one of the most beloved aspects of the series. The multiplayer of Dark Souls 3 features many improvements over its predecessor, primarily no Soul Memory (praise the sun! ), which means players can now co op the same boss with as many people as many times as they wish without fear of gaining too many Souls to push them out of summoning range. Dark Souls 3 also features password matching, just like Bloodborne, so that you can connect to the specific players you wish. This is an upgrade over the Name Engraved Ring from Dark Souls 2. Other multiplayer features include limitations to summon range by weapon upgrade, which should reduce griefing of new players by overpowered invaders, giving everyone a more equal footing. Our experience with multiplayer has been nothing short of fantastic. This is by far the best connectivity in the series so far. Keep in mind we are talking about a Japanese release played with fellow Japanese players where fiber optic is the standard, but we would still be writing our sign on the ground and we would be summoned. Invaders get in quick and without disconnections, as do helpers. Battle royales for all! Covenants have returned and are now multiplayer-focused. From has apparently taken the better safe than sorry approach to them this time around, opting to create tried and true covenant mechanics over more complicated possibilities. This will disappoint some and others will find the fact they just work more satisfying then what could have been. Covenants have also been simplified so that you can deepen your devotion with them all simultaneously, with the only ramifications being possible NPC conflicts of interest, which might end their quest lines. An item of note is that the PS4 and XboxOne versions of the game require a subscription to XboxLive or PSPlus in order to access *any* online features, including asynchronous messages, illusions and bloodstains. So is Dark Souls 3 worth it? Replayability: Absolutely. NG+ scaling and items, variety in builds and fashion, working covenant mechanics and lore depth will keep people asking for more. Multiplayer: Yes! Level match-making, fast connections, working covenant mechanics. Framerate & Input Lag: We have died to these two more times than acceptable. The game is fantastic, but notorious Blighttown framerate/lag returns sporadically, even amidst boss fights. This is a big negative on the current PS4 build, however the game is running much better on PC so it is possible it will be patched. Nostalgia: At some points we felt the fan-service was slightly over the top, with so many references it almost seemed certain this would be the last Dark Souls game. It’s a bit of a sad feeling! Are you getting it? You will certainly want to visit the New Player Help page on the Dark Souls 3 Wiki! We have been streaming the game live on our YouTube Channel, so be sure to come and hang with us! Or get ready for community events that we will organize in the Dark Souls 3 Forums. Hats off Cas. I know how tricky it can be to write one of these – I’ve written for several game mags and trying to finesse the feather over the parchment without fear or favour is tough. This is especially true of a Souls review and given your position in all of this, doubly so. I didn’t read the entire review (skipped lore & setting, multiplayer) since I thought there might be certain bits of info I’d like to avoid knowing until the game is on my very own hands. Otherwise, a nice review from the point of a franchise player itself rather than a critic! My hopes are certainly increasing that I’d enjoy the game at least as much as Dark Souls II and close or equally to Dark Souls. Maybe since I still play PS3 I won’t mind them. That and long load times were consistently the biggest issues reviewers had with Bloodborne, in which I didn’t even think the framerate drops were that bad or that common. I’m sure I’ll be ok in that regard, anyway; I barely minded the drops in Blighttown. The annoying thing about the frame rate has been the input lag that comes attached to it. You try to roll, you don’t, so you try again, then you roll twice at the worst time possible and eat all your stamina. Loading times were quite fine until late in game where they got a bit longer. But overall the game is great and I think you are all gonna love it. PC to the rescue! I’m hoping a nice rig and an SSD will make all of these moot points in my case. Indeed the PC version (which we have played as well) didn’t have input lag and the framerate issues were minimal. It sounds like PS4 is going to get another optimization patch before US launch so perhaps the negativity towards this aspect is unnecessary. Good to see that this game has some decent netcode. I’m also happy they found a way to fight twinkers without completely breaking pvp. Still kinda wish you’d gone into more detail with pvp though. How ‘fast’ is pvp in this game? What are backstabs like, do they feel balanced? Are weapon buffs back and how powerful are they? How hard is it to get parries? How effective is parry-spam? Are big, bulky strength weapons any good? How viable and fun are pure mage builds? Is there any combo potential? How fast is summoning (for both phantoms and darkwraiths)? Are DkSII’s stunlocks on every weapon still a thing? Did you find yourself using weapon arts at all during invasions/duels (besides for purely trying them out)? Is there a time limit on invasions? Has tailcutting made a return? Agreed. Performance can always be worked on; design, aside from minor nerfs and buffs, cannot (or at least should not). I don’t wanna be pvping and suddenly "frame rate has dropped to 7 fps and now you are being backstabbed"
If you mean connectivity wise, pretty fast. The fights themselves are the usual go in a circle and swing once or twice, regroup. Backstabs in pve are inexplicably different… I used to do it all the time and now I can’t get it right. Tsmp believes they work. Castielle played with a Mage but switched as he felt underpowered. The lock on was mean. Not at all. Just forgot they were there. I’m sure the pro players will love them tho. I want to make it a point that I typically avoid reviews. usually because it’s the same uneducated echoed nonsense. But I gave yours a read because I adore this place. It’s good to see that there were not any major issues. The frame rate/input lag thing bothers me slightly. Mainly because i’m on xbox one. and I’ve yet to hear about a game that performs on the one better then a ps4. Hoping they add another optimization patch along with the day one us internationals are getting. The frame dropping I can handle if it never gets worse then something like blight town. Could you tell me if this was only at 1-2 areas? or did frames drop considerably though out your playthrough? I’m much more worried about the input lag. 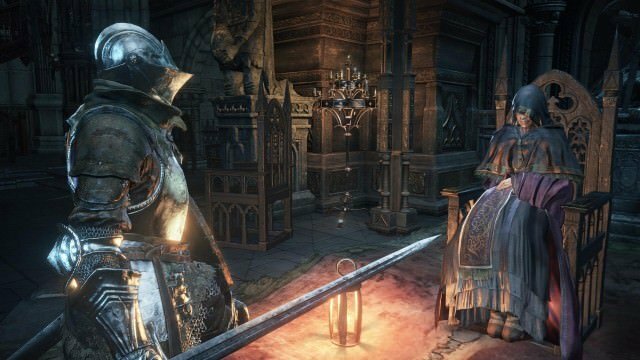 In the video review, Cas said that Dark Souls 3 takes the quantity over quality approach to gear, opposite of that of Bloodborne, and that only a few of the more defined and unique weapons will end up the main focus for most players. Does anyone else feel this way? Are most of the weapons just very much the same with little variance? How does it feel compared to Bloodborne’s approach to weapons and armor for any who have played? I think that’s the only part of the review I disagree with. I haven’t actually touched the game myself. But I’ve seen a LOT of weapons and armor. and they all seem very unique to me. Considering how BB was referenced in that comment i’m just going to go ahead and say that point is biased. Bloodborne spoiled people in terms of weapons. you had 2 whole move sets with trick weapons. on top of the fact that you had charge attacks, different running and rolling attacks etc. Going from a game that hands you that much variety on a single weapon and going back to something like DS3 it’s going to make things feel barren AF like ds2. But in DS2 movesets were just as limited as DKS. the only thing changing up was power stancing. In DS3 we’ve got weapon arts now. which is like almost a half of another weapon. we also have charge attacks returning. we have running heavy attacks now. So i’d say in terms of weapon varity we sit in between ds2 and BB. Sound about right. I never expected Dark Souls 3 to match Bloodborne in terms of weapon complexity for all of its weapons, so I’m not disappointed. I personally prefer Bloodborne’s approach to weapons however, as the added complexity makes all of the weapons both deep and very unique, and the lack of large amounts of very similar weapons makes finding your preferred weapons easier, and it seems to make all weapons about equally used by the player base. Now if they perfected the blood gem system so people don’t just go for damage up gems and farm for hours to ethe one gem they want, it would be perfect. Nice piece Cas, very nicely put. Armor: The design of the armors is… just not as great. Bloodborne had "boring" armor sets but they looked detailed. Lords of the Fallen had incredibly beautiful textures. Dark Souls 3 has some weird motions on them instead, and if you get up close they just don’t look as good. It’s nit-picky which is why we spent just a sentence on it. Weapons: There’s tons of weapons and there certainly is variety. Yet every pvp match I’ve been in has had 3 weapons that everyone is using (plus the host who may just be trying out stuff or the caster who is obviously using something else). This just feels like there are a lot of weapons, with some fun movesets, but a select few are simply "better" and people just go to those instead. you stayed long enough to see their weapon?